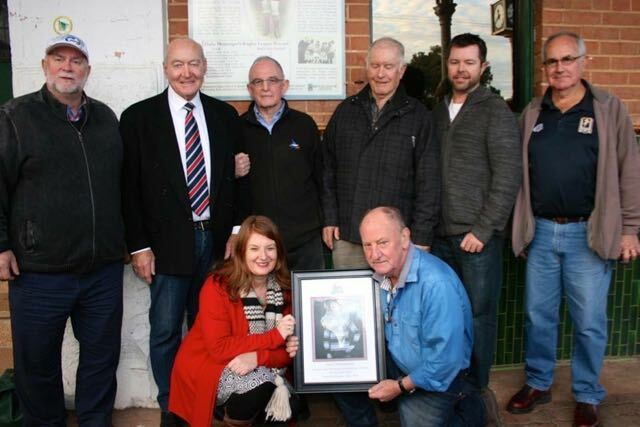 On the Fourth of July, 2015, the Men of League honoured the history of the Messengers and the beginning of Rugby League in Manilla (a picturesque country town in NSW near Tamworth). 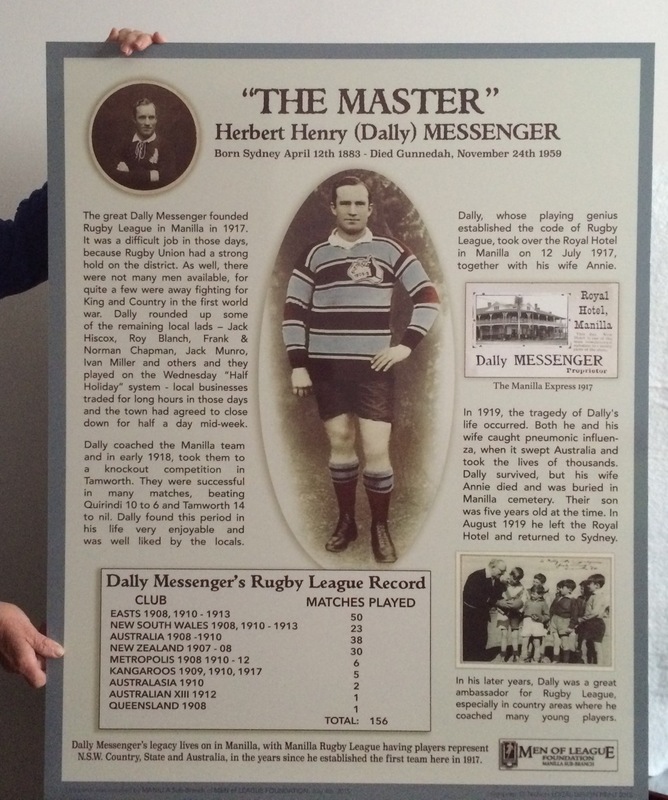 The central event was the unveiling of the plaque recording the achievements of Dally Messenger and his time in Manilla, where he established the first Rugby League team. Tributes to the achievements of Dally and Annie Messenger were delivered by John Quayle, Dally III, Ken Messenger and Neville Glover. 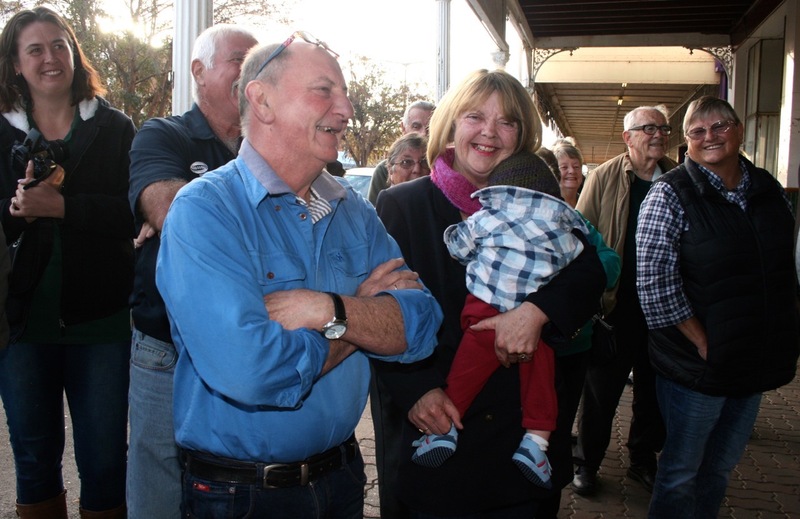 The ceremony concluded with the unveiling of the plaque fixed to the outside wall of the Royal Hotel by Dally III, Ken, Cameron and Genevieve Messenger. The ceremony had been organised by the Men of League under Trevor Hatch and Tom and Vickii Cocking (current proprietors of the Royal Hotel). 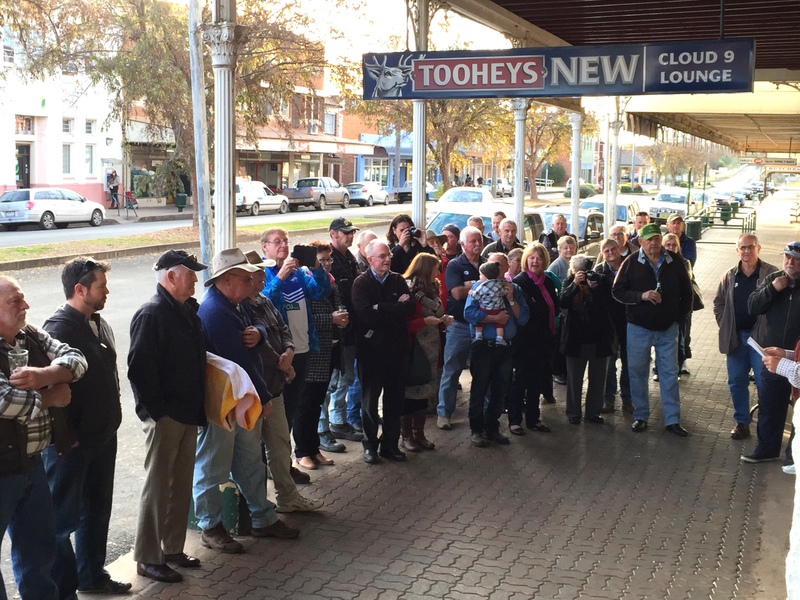 The sixty or so attendees then adjourned to the Royal Hotel to celebrate with convivial drinks, and later on that night a dinner to mark the event. LEFT to RIGHT: Neville “Nifty” Glover (who played winger for Parrmatta and 2 Tests for Australia), John Quayle (born and bred in Manilla – played for Eastern Suburbs and later became General Manager of the NSW Rugby League), Dally Messenger III and Ken Messenger, grandsons of the original Rugby League superstar. Cameron Dally Messenger, great-grandson of the original Dally, and Trevor Hatch, president of the Manilla Men of League. Lower in the picture holding a framed photo of Dally: Genevieve Messenger great granddaughter of Dally, and Tom Cocking, current proprietor of the Royal Hotel which was owned and managed by Annie Messenger & Dally Messenger) from 1917 to Annie’s death from the Bubonic Plague in 1919. The Messengers were deeply moved by the gesture of the Men of League who had restored the grave of their grandmother. They straightened the gravestone, laid the grave area with red pebbles , remade and painted the fence. 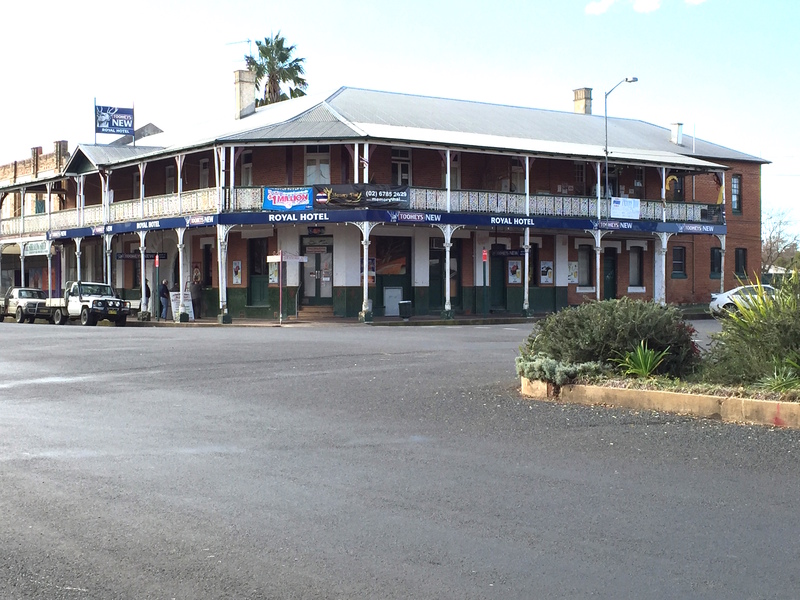 Annie and Dally took over the Royal Hotel on July 12, 1917. Annie’s life was disastrously cut short on June 23, 1919. Annie and Dally both caught the Bubonic Plague/ Flu. (The Bubonic Plague caused the death of more people worldwide than died in World War 1 (1914-18)). Dally survived, Annie didn’t. She was only 42 years of age. My father, her toddler son, was only five. Dally had to sell the hotel and return to Sydney with his young son. My grandmother was born Annie Maud Carroll on 25th October, 1875 in Parkes, NSW. Her parents were John Joseph Carroll and Mary (nee Heffernan). At 19 years of age, in Lucknow NSW, she married William Macauley, to whom she had a son, Cyril Macauley. She divorced Macauley (very rare in those days). Later she met Dally Messenger on the ship back from England after the Kangaroos Rugby League tour of 1908- 1909 (TBC). She was not interested in Rugby League so the relationship was totally personal. They married on the 14th October 1911 in the Congregational Church at 135 Elizabeth St, Sydney. 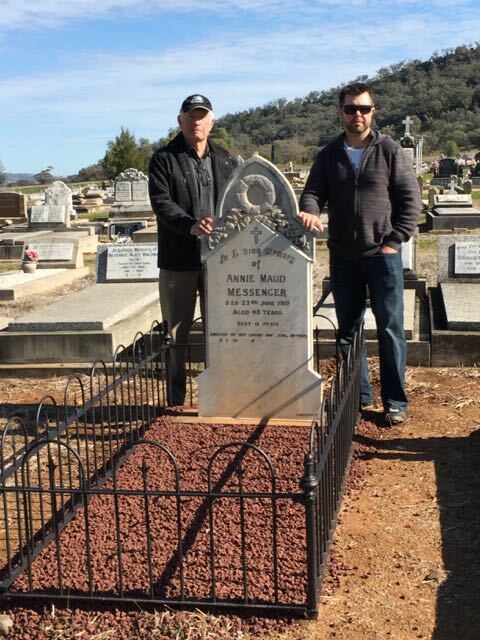 Ken and Cameron Dally Messenger at Annie’s grave – July 4, 2015.